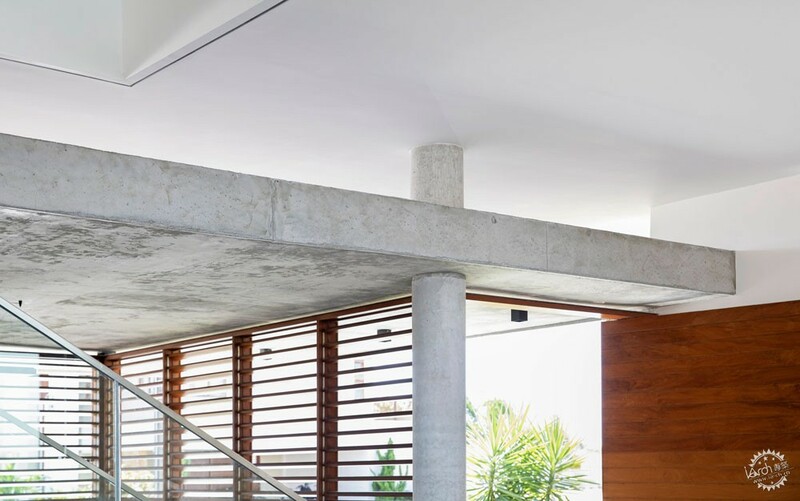 This concrete coastal house in Brazil was designed by locally based Martins Lucena Architects to capture prevailing breezes and minimise solar heat gain. 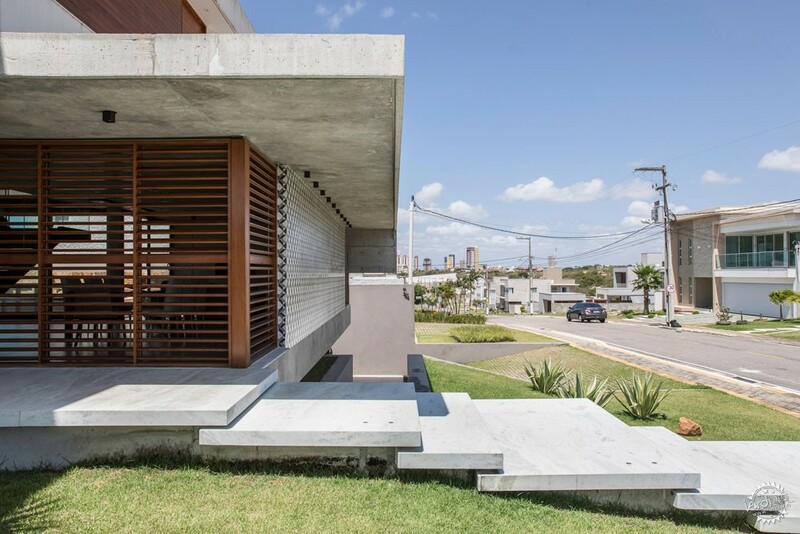 The IF House occupies a corner lot in Ponta Negra, an oceanfront community in the town of Natal. 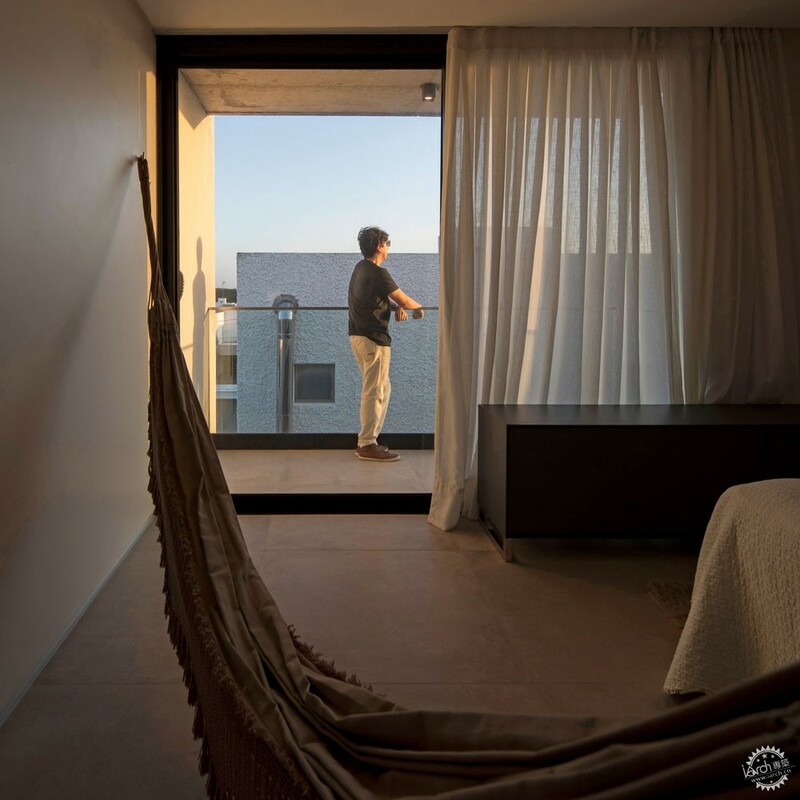 Local studio Martins Lucena Architects completed the 420-square-metre dwelling for a young couple with two children. The design process began with a desire to employ a modernist design vocabulary and to establish "spatial and visual flow" between inside and out. The home also needed to respond to the area's warm, sunny climate. For a gently sloping site, the architects conceived an assemblage of boxes with cantilevers and setbacks. The structure is made of concrete – a building material that enabled "the reading of the floors as separate volumes, and guaranteed the fluidity of the internal spaces and large spans", the team said in a project description. Windows are oriented to the south and east in order to capture prevailing breezes. To help mitigate solar penetration, wooden shading devices and a cement-tile screen were added to the exterior. These materials – along with stone in the backyard – draw upon local design traditions. 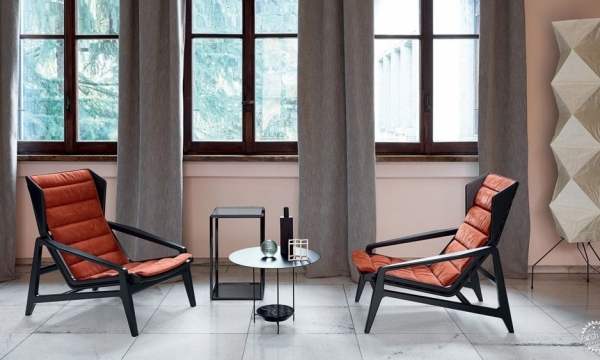 "The use of materials like wood and hydraulic tile, and the use of typical stones found in the region, favours dialogue between contemporary and regional language," the team said. 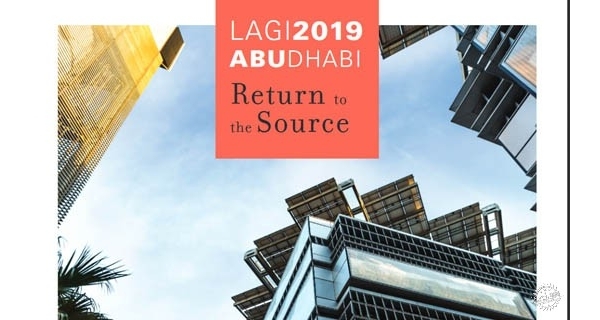 The programme is distributed across three levels. 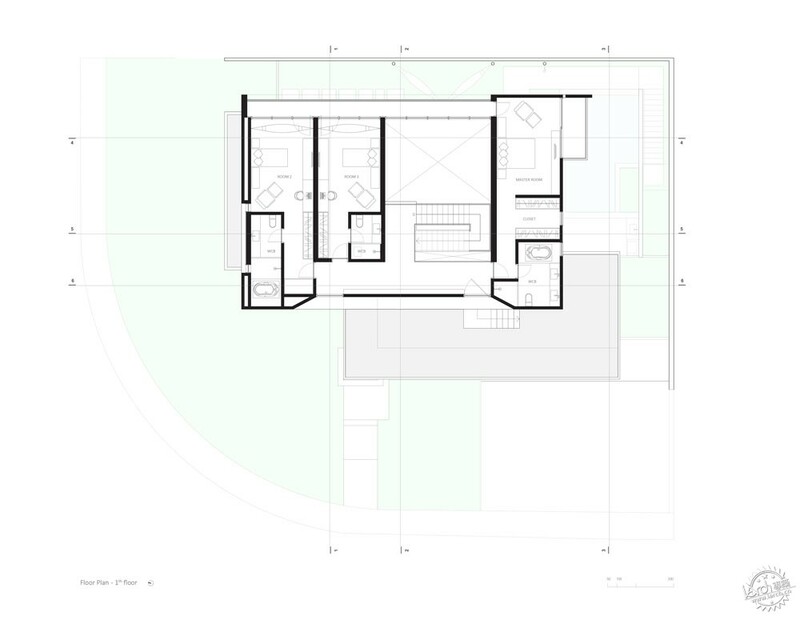 The bottom floor contains a garage and service areas, while the ground level houses public zones and a guest suite. Bedrooms and a library were placed on the top floor, which is accessed via a streamlined staircase. 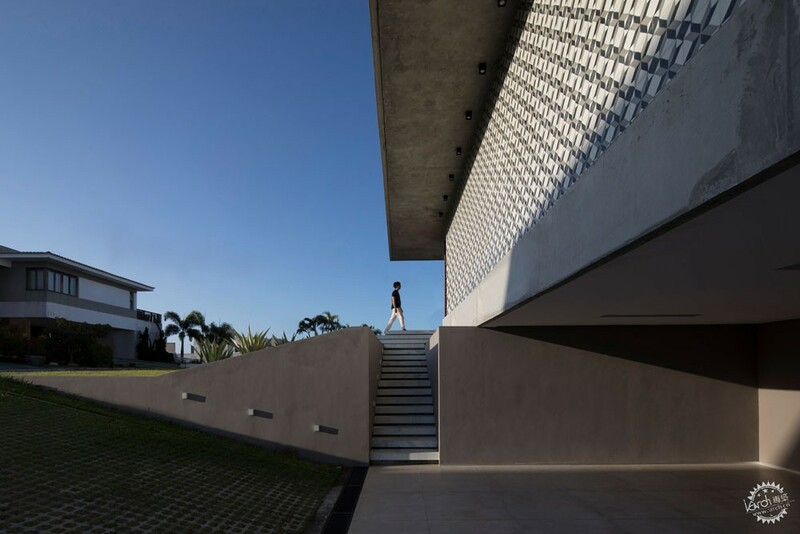 "The stairs to the upper floor are designed with the use of metal profiles in order to ensure a slender structure with only two points of support," the team said. 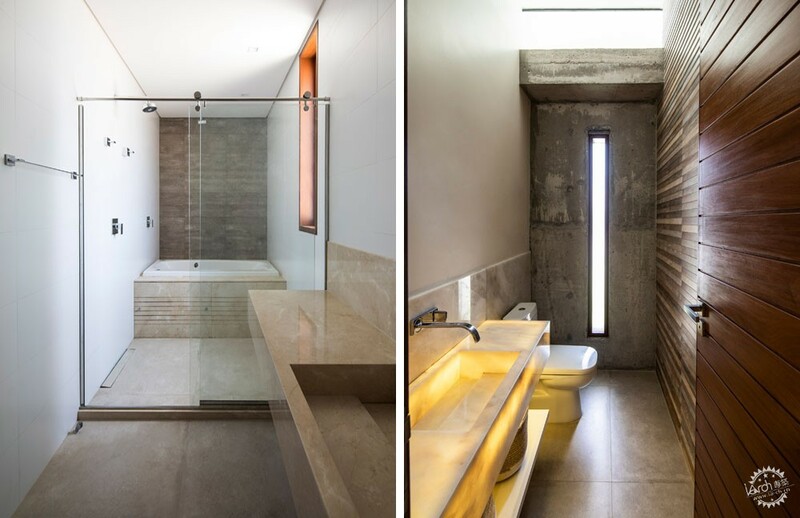 The home is intended to feel expansive and free-flowing. 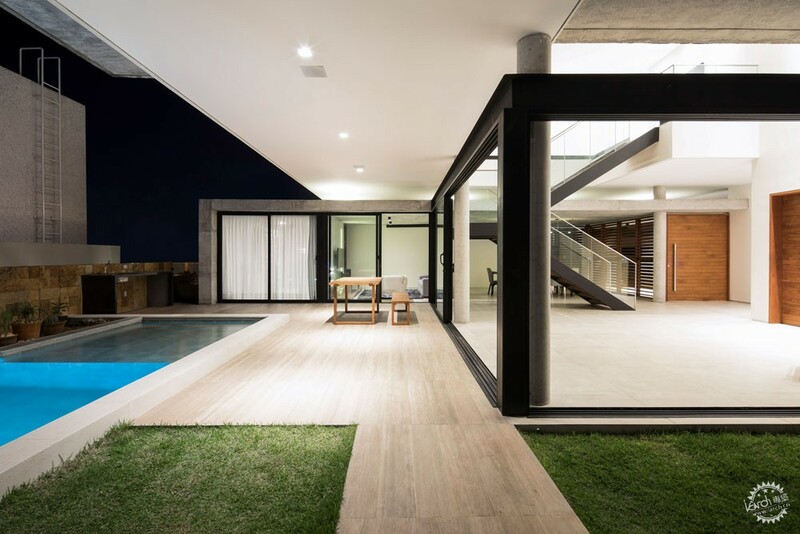 This is particularly evident in the living room and dining area, where retractable glass walls enable a seamless connection to the rear yard. The ground level offers ample space for entertaining friends and family. While modest in size, the yard offers a patio, swimming pool and grassy area with hammocks. The home's upper volume partly cantilevers over the outdoor area, providing shade. Glass-lined balconies on the second floor offer views of the surrounding neighbourhood. 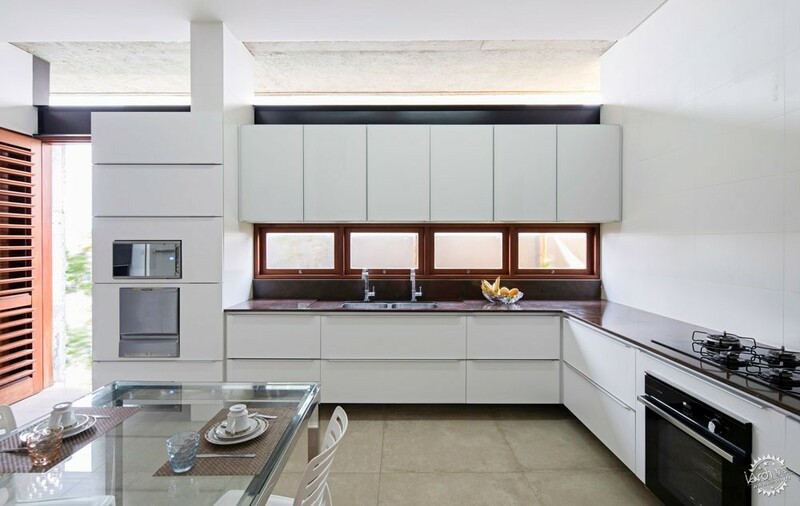 The dwelling features a neutral colour palette and contemporary decor. White walls are paired with concrete ceilings and floors, with wooden accents lending a touch of warmth to the home's minimal interior. 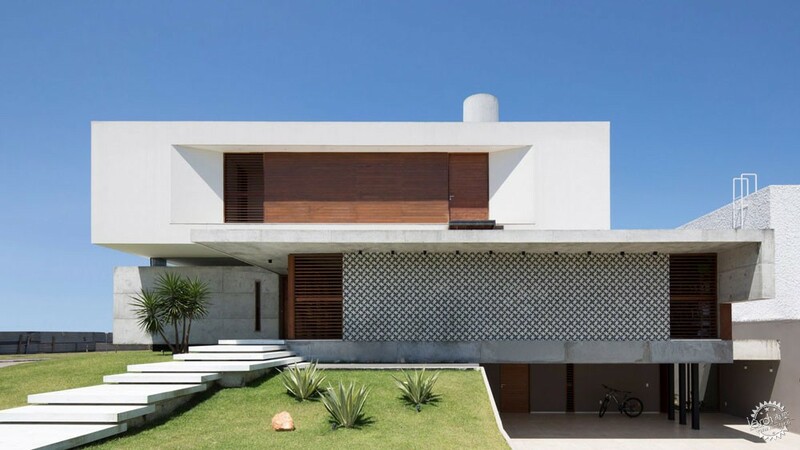 Other dwellings in coastal communities in Brazil include the Bamboo House in Pipa Beach by Vilela Florez, which features a chevron-patterned exterior, and a concrete and wooden abode near Itamambuca Beach designed by Gui Mattos. Photography is by Maíra Acayaba.